Hours: Mon-Fri 7am to 5pm EST. Sat by appoint. Sunday Closed. 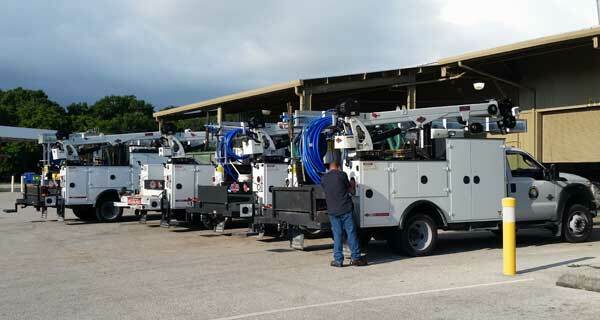 We work on a broad range of truck mounted cranes, compressors and other equipment throughout Florida. Our shop is centrally located in Lakeland and we have mobile technicians covering Tampa, Orlando, Jacksonville, Miami and all points between.